During the Major League Baseball off-season, the phrase “hot stove league” denotes the period of time when a flurry of team transactions set the stage for the next season. 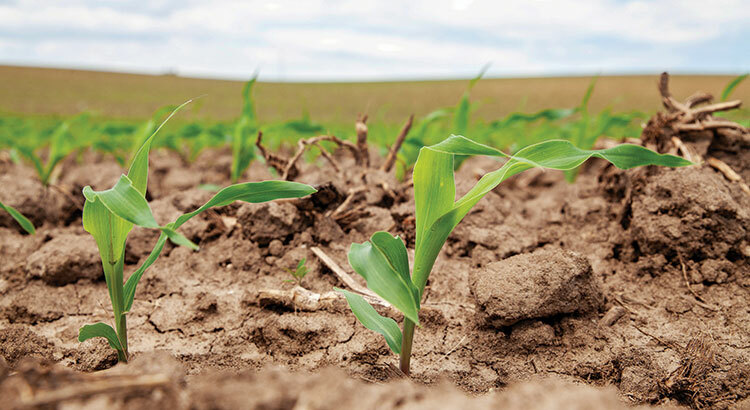 For the seed corn (silage) industry, the winter months are similar as growers evaluate different seed options to strengthen their farm for the next growing season. Like that of a baseball player’s agent, my phone also becomes more active this time of year with calls inquiring about hybrid performance and evaluation. The topic at hand is typically comparing a few hybrids, but the conversation often shifts to also chatting about how to better evaluate seed genetics in the future. Farm profitability can swing from the red to the black (or vice versa) with a given year’s silage yield and quality. There are a few common threads to these conversations that every grower should consider folding into their hybrid evaluation process. Seed genetics contribute strongly to resulting plant quality. Yet, growing conditions and environment are incredibly influential in dictating how the crop will ultimately feed. The thumb rule I’ve worked with in the past is that yield and nutritive quality are about equally influenced by two factors: genetics and growing environment. This is rooted in both experience and discussions with Joe Lauer, University of Wisconsin extension corn agronomist and hybrid trial evaluation leader. To put this in perspective, consider the following outcome recognized recently by a northeastern U.S. dairy producer. The farm planted conventional and brown midrib (BMR) corn hybrids for silage in both 2016 and 2017, and thus, had the ability to compare nutritional quality using the total tract neutral detergent fiber digestibility (TTNDFD) tool and other advanced nutrition measures. The farmer called for support when recognizing that the 2017 BMR corn silage was about equivalent to the 2016 conventional corn silage in TTNDFD and fiber quality. This didn’t seem logical to the farm’s nutritionist and seed-advising team, yet when discussing the 2017 growing conditions (exceptional heat and moisture) and dairy performance, the nutrition analyses made sense. The 2017 season had more heat units and moisture relative to 2016 early in the growing season, and this contributed to a BMR silage that only fed as well as the prior year’s conventional silage. Field and harvest management are equally important relative to the environmental factors described above. Good seed genetics can yield poor silage if production and harvest decisions aren’t on point. Do not compare different hybrids (silages) grown on your farm in different years or in different fields. Comparing hybrids grown in one year versus different hybrids grown in the next is equivalent to one player at the poker table playing with a stacked deck in their favor. The conditions are not equal. The better approach to evaluate hybrids (grown under your management and on your farm) is to set up a test plot. Plant the hybrids that you’ll consider for the following year. This needs to be a component of your farm’s business model in the future, recognizing that silage quality is vital to farm profitability. The plot can be planned in a variety of ways, but get started by putting five to 10 hybrids into a field. If there’s space, replicate the hybrids two or three times. Then work with your agronomy and nutrition advisers to compare performance. Often, in well-designed and managed plots, seed companies will contribute seed and labor, taking part in the project as more of a community evaluation effort. Until MILK2006 is updated, transition your hybrid evaluation measure to ranking based upon total digestible nutrient (TDN) yield per acre. Milk per ton and milk per acre (from Milk2006) were valuable evaluation numbers for seed genetics, however, dairy nutrition has advanced leaps and bounds in the past 10-plus years. As a result, the Milk2006 measures are now as outdated as a 10-year-old pickup truck on your farm. Assess TDN value from plot forage analyses and then multiply by dry matter yield per acre to derive TDN per acre. Use this as the measuring stick to rank and pick seed in your plot. Ask your nutritionist to help put the best TDN measure together for your farm and nutrition program. This typically takes form in a spreadsheet. Make sure both fiber and starch digestibility measures are represented in the TDN measure. More accurate fiber (for example, TTNDFD that accounts for both fiber digestible pool size and speed) and starch digestion measures are now routinely available through forage testing labs. consider plant disease resistance. Harvesting clean silage is of growing importance as we better understand plant disease ramifications for dairy and feedlot performance. Further, many are recognizing that silage characteristics that maximize rumen fiber digestion might not optimize plant health. Combine hybrid evaluation resources to make the most sound decision. Compare the performance of hybrids on your farm with that of independent sources such as universities and private research entities. Some seed companies also have their own replicated, accurate performance data and can provide valuable insight regarding their specific hybrids grown across many different environments. Cross reference the top performing hybrids in your plot with that of other performance resources. Lastly, work as a team. Often nutritionists are asked to help make decisions, yet many times nutritionists are not equipped with the expertise around how different hybrids perform in different soil or management schemes (I speak from experience). Bring your nutritionist, seed consultant, and/or agronomy consultants together to share goals, bounce ideas off one another, and make decisions as an advisory team to benefit your farm, similar to the way a professional baseball team will seek advice from scouts and managers to help make the best decision for their team. This article appeared in the February 2019 issue of Grower on pages 16 and 17.